What you need to know about Milford Sound and the Road to Milford Sound. If you want mind-blowing eyeball-popping tear-inducing scenery that New Zealand is oh so famous for, then Milford Sound is the number one choice. Ok, there’s a lot of hype around this particular fiord in the Fiordland National Park of the South Island. While some travel guides refer to it as the “Eighth Wonder of the World”, you can only begin to imagine what you are about to lay your eyes on with a trip down to New Zealand’s national treasure. Indeed, Milford Sound is “effing” stunning, it can’t be denied, but like anything that is overhyped, visitors do go there with expecting miracles to happen and become disappointed when their grandma doesn’t come back from the dead or they aren’t cured of leprosy. We’ll go as far as to say that Milford Sound is an absolute New Zealand must do – either that or one of the fiords of New Zealand, because they are similar in appearance. Milford Sound is the fiord on everyone’s lips because it is the most accessible with a great connection of the Milford Road/Milford Highway/State Highway 94, which is an beautiful experience in itself. Milford Sound is not actually a sound. It is a fiord created by glacial action that produced U-shaped valleys. It was named when the English and Welsh explorers were unfamiliar with fiords. Captain Cook sailed passed Milford Sound twice without seeing it. It was later discovered in 1823 by John Grono who named it Milford Haven after his birthplace in Wales. Sutherland Falls, seen on the Milford Track, are the world’s fifth highest with water falling 580 metres. The Maori name for Milford Sound is Piopiotahi, which means “single thrush”. According to legend, when Maui lost the treasure of immorality to the goddess of death, a thrush flew to this place of sorrow. Milford Sound gets 6813mm of rain per year. 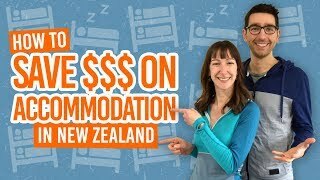 Backpackers usually make this trip from one of two places: Queenstown or Te Anau. We recommend starting your day trip to Milford Sound from Te Anau, as there is a lot to see on the Milford Road, which can feel rushed if you are day-tripping from Queenstown. Nevertheless, if you are strapped for time, don’t let the long drive from Queenstown and back stop you from missing out. Better yet, in the warmer months, make use of the campsites so you can explore this beautiful part of Planet Earth for longer and make use of the hiking tracks. Take the coach or drive to Milford Sound? This all comes down to preference. The Milford Road is windy, narrow and busy with eager tourists trying to make the long trip before the sun goes down. If this is something you can handle as a driver, then you’ll reap the rewards of being able to check out every single viewpoint and hiking track that you like. Remember to have enough fuel for a 240km return between Te Anau and Milford Sound, as there are no fuel stations. It is also a legal requirement to carry snow chains between May and November. For those who would rather throw themselves off a mountain than drive the Milford Road, there are more than enough coach services between Milford Sound, Te Anau and Queenstown. 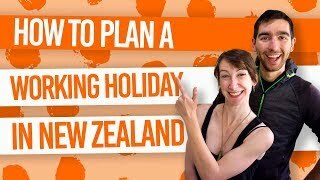 Many of which, like Awesome NZ, Real Journeys, Southern Discoveries, Grey Line Tours, Jucy Cruise, Milford Sound Select and more, make stops at the shorter walks and viewpoints along the way. All the while, you can feel completely relaxed and take in the mountain views that tower around you. The road between Te Anau and Milford Sound is a destination in itself. Heading north from Te Anau on State Highway 94 is a alpine drive packed with walks and natural wonders. If you are doing just a day trip to Milford Sound, be choosey about what you see in order to fit it all in! However, if you make use of the camp grounds, you can even squeeze a multi-day hike into your itinerary. All the sights and walks below are well sign-posted off the Milford Road. Probably the most popular stop on the way to Milford Sound, take this short easy walk along boardwalks on the shore of a vivid mirror lake with the mountains reflecting the water. You will emerge just a few metres away from the start. You may have noticed how the forest of Fiordland National Park is ridiculously dense with ferns growing out of everything and tree trunks are thick with the mossy goodness. A quick way to enjoy the forest is by taking the Lake Gunn Nature Walk, a wide accessible track. Learn about said trees as you go on the information boards and spot birds. You’ll also approach Lake Gunn for more stunning photo opportunities. Signposted just off the Hollyford Road a few metres off the Milford Road, take this easy walk over a swingbridge while seeing a series of waterfalls. If you are prepared for a longer hike, continue to the glacial Lake Marian above the forest and surrounded by majestic mountains. Access to Milford Sound would not be possible by land without this 1.2km tunnel pierced right through a mountain. The Homer Tunnel was completed in 1953 and has almost remained the same since its creation. A super easy access walk, the Chasm shows what the sheer force of water can do as you look over a bridge at the carved rocks below. This is the most popular option for those taking day trips to Milford Sound, as it is the quickest way to see the fiord, seal colony, and have a refreshing blast of water under Stirling Falls. Most cruises will take you to the end of the fiord and back in 1-2 hours. Milford Sound cruises are available with Jucy Cruise, Real Journeys, Southern Discoveries and more. Make yourself feel that much more smaller in the fiord by taking a kayaking tour. Kayaking experiences vary from tours of Milford Sound, getting close to wildlife and exploring those places the cruise ships cannot, to a freedom kayak around Harrison Cove. You can combine a cruise and kayak to explore Milford Sound further towards the sea. Kayaking trips are available with Roscoe’s Milford Kayaks and Southern Discoveries. The combination of fresh water sitting on top of the salty sea water has created some unique deep sea life in Milford Sound’s marine reserve. The sea creatures that you would usually see at 100-200 metres can be seen in water less than 30 metres in Milford Sound. Whether you are a beginner or experienced, you can explore the native black coral trees and the diverse fish species. If you prefer a more dry approach to seeing what lies 10 metres beneath the water of Milford Sound, visit the underwater observatory at Harrison Cove. The large windows give you an opportunity to view the fish in their natural habitat. Cruise and Underwater Observatory combos are available with Southern Discoveries. Really treat yourself to a birds-eye-view of Milford Sound. Either take a helicopter or plane flight over the famous fiords. Depart from Milford Sound with Milford Flights, Te Anau with Te Anau Helicopter Services, Wanaka with Southern Alps Air, and Queenstown with Over The Top Helicopters. There are some short walks to enjoy just to get those shoreside views of Milford Sound, like the Milford Sound Lookout Track (20 minute return) and the Foreshore Walk (30 minute return) both accessible from the main visitor car park. Additionally, there is the Bowen Falls Walk which includes a short boat ride (around NZ$10 each) to access the track from the Milford Sound Freshwater Basin Terminal. See a complete list in 10 Milford Sound Walks You Can’t Miss. The Milford Road is the beginning or the end of many multi-day hikes in the Fiordland National Park, including the Milford Track, Routeburn Track, Hollyford Track and the Greenstone Walkway. All of which provide dramatic alpine views, bush walks and more lakes than you can count. All of them have their own little charms: an extra lake to see here, a magnificent waterfall to see there, but whichever one you decide to tackle – as one is usually enough for most backpackers of average fitness – you will find that a hike in Fiordland is an enjoyable and challenging experience like no other. To check out how to access these hikes, take a look at 5 Incredible Multi-Day Hikes in the Fiordland National Park. For those of you who are unable or unwilling to hike for days, try out a part of a great walk and return the same way. The following can be accessed from Milford Road, the last two from The Divide car park. Check out these articles to see what else you could be getting up to the outstanding Fiordland National Park.